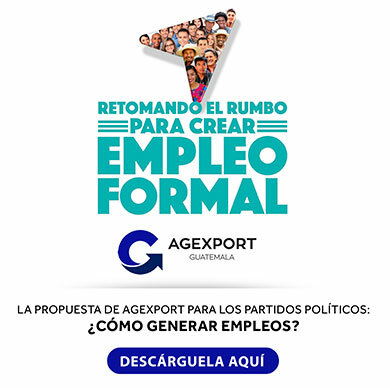 AGEXPORT’s Contact Center & BPO sector plans to expand its scope on 2019 and join hands with the Guatemalan Training Center (INTECAP) to expand the coverage of functional English programs designed to prepare young men and women to work at the call center industry. This industry generates an ecosystem that promotes growth for the Guatemalan economy and impacts several other industries. For example, each new job on a call center requires around 107 sq. ft. of construction and an average investment of US$5,000. As well, it also pays 2.5 to three times the country’s minimum wage, increasing consumption and value-added tax payments, social security payments, among other benefits for the economy, said Mr. Manuel Gordo, president of AGEXPORT’s Contact Center & BPO sector. This industry generates more than 45,000 direct jobs and 115,000 indirect jobs with help from an intensive strategy to increase the number of English speakers in the country. The strategy, called “Finishing School Certification for Call Center Representatives”, reached 3,800 students during its first three years of existence. With it, thousands of Guatemalans have been able to transform their lives with a 10-week intensive English program. To know more about the Finishing School Certification program, send an email to fscertification@agexport.org.gt or send a Whatsapp text to (502) 5811-8112.